Bio Energy is a non-medical complementary therapy that is non-invasive and a safe method of healing that involves minimal touch. Bio energy works on physical, mental and emotional conditions. The energy involved in bio energy healing is the universal life force energy that surrounds all life. Bio Energy enhances the body’s own innate natural ability to heal itself on all levels. 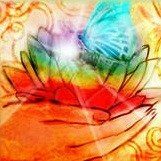 A Bio Energy therapist learns a series of effective simple techniques using hand movements that work to release any blocked energy which may be causing illness or disease. It allows the client’s own natural healing ability to come into place. It is uniquely, simple, effective and straightforward in its approach. Think of it this way the energy that flows through and around our body can be compared to the way water flows through a hose. Physical and emotional trauma can disrupt our flow of energy in much the same way a kink in a hose can interrupt the flow of water. What are the benefits of Bio Energy Therapy? Bio Energy Therapy effectively addresses a wide range of conditions in adults, children and is also safe during pregnancy. It reduces stress, promotes restful sleep and increases energy on a physical, mental and emotional level. Bio Energy is gentle, sustainable and a safe way to promote your health.